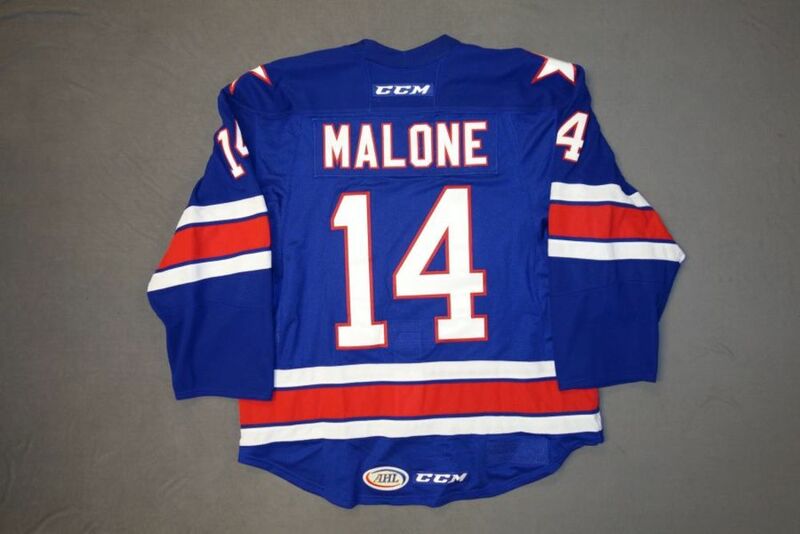 Sean Malone Game-Worn Rochester Americans Blue Jersey. Size: 56. Serial:1718274 . Worn during the 2017-18 season . Comes with a certificate of authenticity. 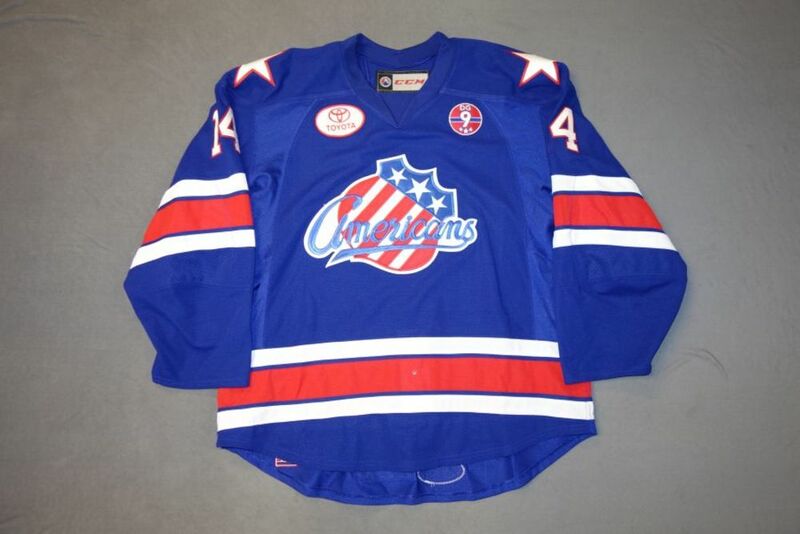 Proceeds benefit the Rochester Americans Foundation.